AGA has announced the introduction of a new AGA City60 cooker, which is only 60cm wide, making it just right for houses where space is limited. The new AGA City60 cooker features a novel gas hob incorporating a wok burner, a rapid burner, plus two semi-rapid burners. The hob also has a flame failure device. In addition, it has radiant-heat cast-iron ovens that ensure all the food’s flavour, goodness and moisture is retained. The City60 cooker’s stunning appearance, as well as the well known AGA cooking performance, will certainly make it hugely popular with those who just love AGA cooking, but also prefer the convenience, flexibility and familiarity of a gas hob. The ovens are powered by electricity and work efficiently with the gas hob. 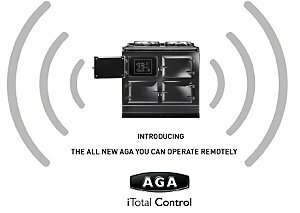 Things are getting decidedly more techie in the kitchen, since AGA launched the AGA iTotal Control cooker. Owners will be able to control this ground-breaking new range cooker wherever they are, by using their mobile phone, smart-phone, PC, laptop, iPad or tablet. Britain Is Baking – More Than We Did Last Year! Latest research from AGA Rangemaster reveals that we are baking more than we did this time last year. And a huge rise in the sales of bakeware, shows the most popular cake this Christmas is not a traditional cake or pudding, but the mini-muffin. 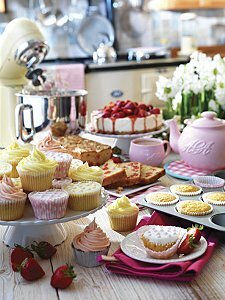 AGA Rangemaster’s Great British Kitchen survey, reveals that over a third of Britons (36%) are baking more than they did a year ago. There are great savings to be had this summer, on a whole range of items from the AGA Cook Shops. 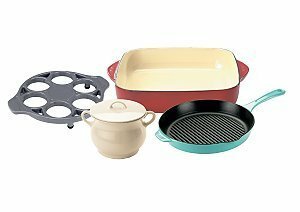 So, whether you’re looking for high-performance cookware, collectables, or just something to brighten up the kitchen, you’re sure to find just the right thing; with brilliant deals to be had, there’s never been a better time to stock up on kitchen essentials. This summer AGA is launching a programme to transform older AGAs everywhere; with a simple upgrade, owners of older cookers will be able to take advantage of new technology, offering considerable savings on both energy use and running costs. More than half of all AGA cookers sold today are fully programmable, enabling owners to enjoy significant savings on running costs; therefore AGA wants as many owners as possible to take advantage of this new technology. 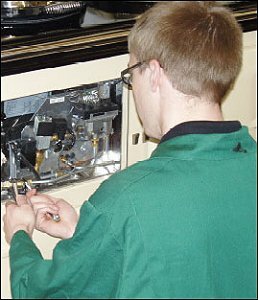 From July 1st, a nationwide upgrade campaign will begin, offering retro-fit programmable burners to the owners of oil, gas and electric AGA cookers; most AGAs in service today are upgradeable. Since the very first Aga cooker was made more than 80 years ago, 70% of each new Aga has been manufactured from previously used material, which shows that Aga have been aware of the importance of recycling from the start. Car gearboxes, guttering, old m a c h i n e r y, cookers, door fittings, drain covers and lampposts have all gone towards making the famous Aga cooker. 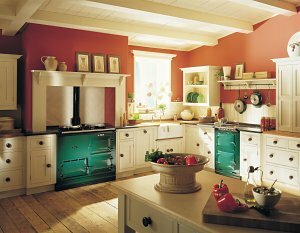 Because of their commitment to recycling, Aga is offering any customer who wishes to change their Aga cooker a £500 discount on a new Aga, when they trade in their old one. The old Agas will then be melted down and made into new ones, thus completing the cycle. If you hanker after an Aga, but your kitchen is just too small, or you like the Aga style, but prefer a more modern cooker, this mini aga could be the answer. The Aga Four Two mini has three burner sizes, conventional and fan ovens, a ceramic grill, and even a timer. Everything you’d expect to find on a state-of-the-art conventional range cooker, plus an Aga badge. Welcome to UK Home Ideas. We’re looking forward to bringing you the latest information on interesting and exciting products for your home. Many will be brand new, some will be classics, and others simply beautiful or inspiring. You can be sure there will be something new to see every single day.